This sailing regatta spar set was derived from experiments and tests. 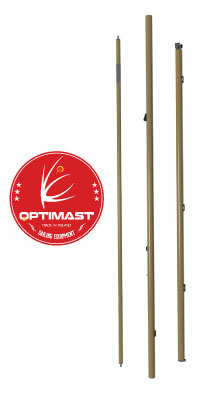 It is more resilient than the material used in BLACK- OPTIMAST, with wall thickness of 1.9 mm, which gave this set more dynamic character, forgiving passive conduct of boat and enabling sail opening in case of strong gusts of wind. Extra boom option gives you choice to personalise set for your needs.